The following is a guest blog-post by Muhammad Bilal, a male Hijama Practitioner in Karachi, Pakistan. -Please give us a short introduction about yourself, and in particular how you ended up being a hijama therapist? Assalamu alaikum warahmatullahi wabarakatuhu ! My name is Muhammad Bilal. I live in Karachi, Pakistan. I graduated from University of Karachi from the faculty of Pharmacy as B.Pharm. Afterwards I completed M.Pharm from the department of Pharmacology, University of Karachi. M.Pharm is a research degree like M.Phil. It has two Years divided in 2 parts viz the departmental course work and one year research work. I wanted to select a topic for research from Tibb ul Nabawi. I chose the topic of Hijama as it was emerging at that time (2008) in Pakistan. Very few people were practicing it and it was a new topic for research. At that time I conducted a scientific study on Hijama in which I collected the blood samples through Hijama of 25 healthy male individuals (for which Dr. Asif assisted me as he was practicing hijama at that time). Under the supervision of Prof. Dr. Rafeeq Alam Khan who was at that time Chairman, department of Pharmacology, I conducted the study and evaluated the hijama blood samples against the venous blood samples. I performed tests for 9 biochemical parameters and CBC. We wanted to know whether there is any difference between the compositions of hijama blood and venous blood or not. There was a statistically highly significant difference in all of the checked parameters. Later I wrote a research paper on the study which was published in the Journal of Basic and Applied Sciences. Later I took admission in PhD program in 2010 and again I selected Hijama for further research. Meanwhile I started teaching Pharmacology to the students of Pharm D at University of Karachi. But the teaching schedule was very strict and I could not carry on my work on PhD , hence I left teaching for the time being and started the Bilal Hijama Clinic for practically doing hijama and collecting the data in 2013 and since then I have been practicing Hijama and conducting several researches. At Bilal Hijama Clinic I have treated around 3000 patients as yet since 2013 for more than 100 diseases. Mostly patients come for various types of pain, hypertension, diabetes, Skin diseases, respiratory diseases, hepatitis, GIT disorders, renal disorders (chronic renal failure patients),Psychiatric disorders, frozen shoulder, carpel tunnel syndrome, eye diseases and many others. Sciatica sometimes relieved in only one session. mostly pains of all origins respond well to hijama. Very good results in GIT problems, like acidity, gas trouble, constipation, hemorrhoids and IBS. Good results in Bipolar disorder ,depression and schezophrenia. Diabetic control improves a lot in 3 months period. In 5 % patients 6 to 7 sessions were enough to control diabetes without medicine. Hijama is 70-80% beneficial in Sinusitis. Very effective in male infertility, female reproductive problems like dysmenorrhea, amenorrhea and Polycystic ovary syndrome. Hijama is very effective in hepatitis B and C.
There are many. I will share one of them. A patient came for lower back pain. Usually I start from Sunnah Points on C7 and T2. I applied wet cupping on these points. He came after a week and he was very happy as he lost 7 Kg of weight without any problems. (like diarrhea etc). His family members also came and they wanted to receive hijama therapy for losing weight. With difficulty I could convince them that It was a blessing from Allah S.W.T and not a planned effect. Another interesting case study is of some patients who are on dialysis due to chronic renal failure for some years. Before hijama they remained very lethargic, insomnia and anorexia was prominent and expected side effect of dialysis in them. After 2 to 3 sessions of hijama their lethargy was gone, their appetite was improved and their sleep was very much improved. As a result they started working again instead of being totally dependent on others for financial needs. If a person has never gone through hijama in his life , then he should do so once a month for 3 to 6 months, in which all 9 Sunnah points should be covered and the best dates are Islamic 17,19,21 according to hadith. After that he may receive hijama after 3 months and then may maintain once in 6 months cycle. I have received hijama once a month for 3-4 months consecutively, and now I get it done every 3 months. I usually go for Sunnah points. My wife who is also a student of mine performs hijama on me. – What is the status and overall prevalence of hijama therapy in Karachi and in Pakistan ? Is it available in hospitals and clinics as a valid alternative / sunnah therapy? Hijama is getting popular rapidly in Karachi. People awareness has increased many folds now as compared to 5 years ago. A great number of Doctors are practicing hijama now. Most of them homeopathic doctors. Some allopathic doctors are also practicing it. Still its not available in big hospitals but many clinics and small hospitals are offering hijama services. 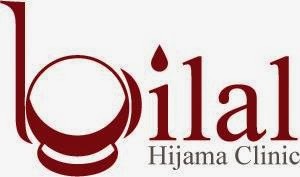 My Clinic is situated in Gulshan-e-Iqbal behind Urdu University near NIPA in Karachi by the name of Bilal Hijama Clinic. Our website is www.bilalhijamaclinic.com and Facebook page is fb/bilalhijamaclinic. Currently we are offering dry cupping+ wet cupping technique of Hijama. Consultation is provided for Tibbe Nabavi treatments and diets also. gratulate them for their valuable work regarding the improvement of practice of Hijama world wide. Our thanks to Muhammad Bilal for sharing the above post. If you have any questions or comments, then please leave a comment* below.